Some Wheel and Tire combinations may require you to add wheel spacers once a lift kit has been added. 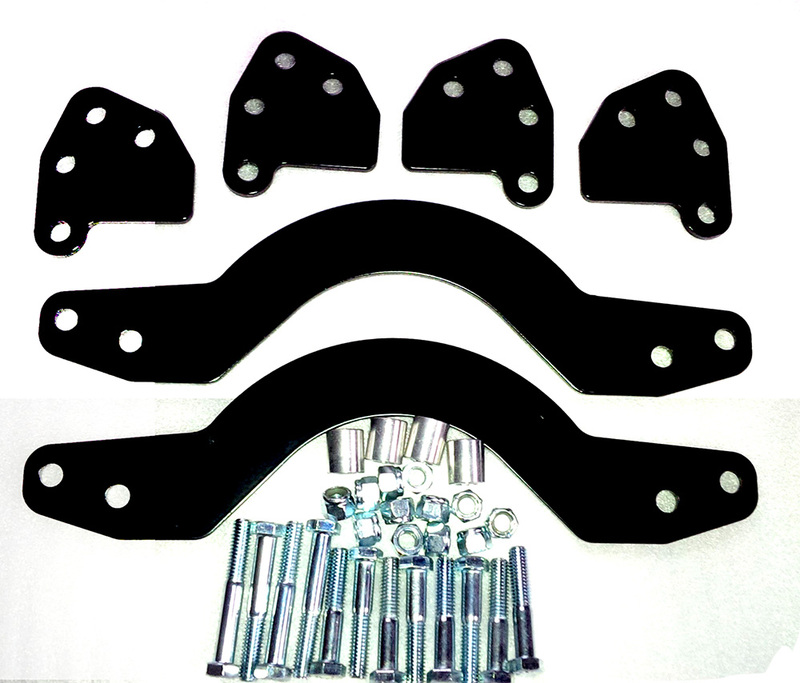 We make EVERY effort possible when designing a lift kit to make the kit work with STOCK wheels and STOCK tires as well as with AFTERMARKET wheels with AFTERMARKET tires but in RARE occasions, even these combinations may require the use of wheel spacers. 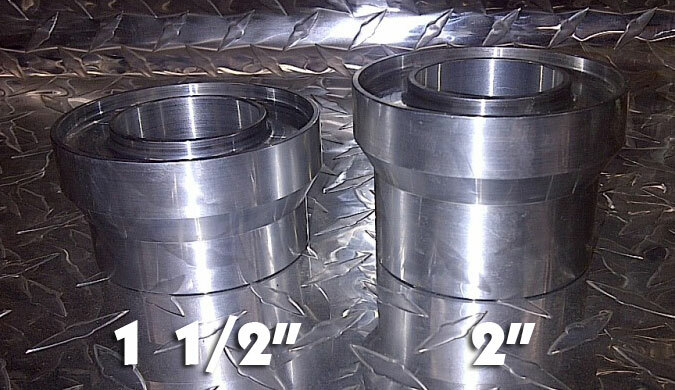 These spacers are CNC Machined out of 6061 T-6 Billet Aluminum and are in stock in 1-1/2" and 2" tall, we can however make them ANY height you want. 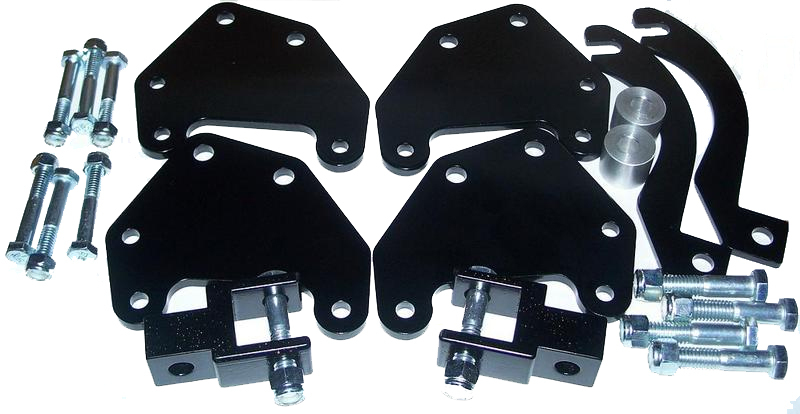 These spacers have an inner and outer lip to keep your spring centered to prevent it from wandering to the side and rubbing your shocks. 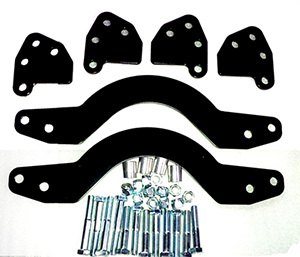 Arctic Cat Front Axle Spacer Kit. 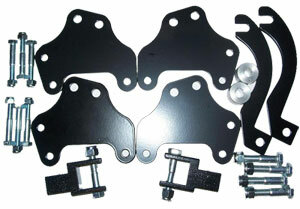 This kit is designed to keep your front axles from pulling out of your front Diff after a lift kit has been installed. 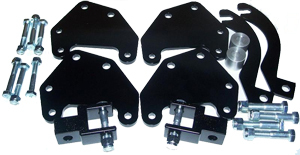 This issue is not a problem on EVERY lifted Arctic Cat, and usually is only seen on anything lifted 2-1/2" or higher, but most guys install this kit for simple PIECE OF MIND so they know they wont have to worry about the front axles coming out on the trail! This kit comes with 2 CNC Machined steel spacers, and 2 new modified axle nuts.